IT pros can never have too many Windows 10 security enhancements, and the Fall Creators Update certainly takes that to heart. First of all, Microsoft put the power of the now-retired Enhanced Mitigation Experience Toolkit, or EMET, back into Windows 10 with the Windows Defender Exploit Guard. The Exploit Guard is part of Windows Defender Advanced Threat Protection and aims to make it more difficult for attackers to target vulnerabilities in the OS. IT can set intrusion rules and policies to prevent zero-day attacks and block dangerous websites or harmful Office macros. 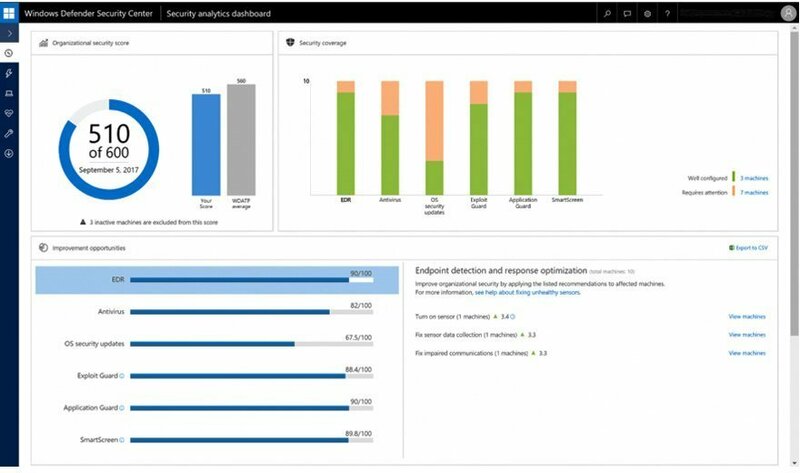 The Windows Defender Security Center also brings some Windows 10 security enhancements. IT pros can use it to manage their Windows system and app exploit and mitigation settings, similar to how they could with EMET. The Windows Defender Security Center also addresses ransomware by allowing IT to control which apps can access or alter Desktop, Documents, Music, Pictures and Videos files on a user's desktop. If an unauthorized app attempts to access one of these files, Windows 10 alerts IT. Finally, the Fall Creators Update adds another level of security for devices running Windows 10 Enterprise and Hyper-V. If a user accesses an untrusted site in Microsoft Edge, the Windows Defender Application Guard for Edge automatically launches the site in a separate instance of Windows to isolate any potential malware from the user's memory, storage, apps, credentials and more. What else should Microsoft do to tighten Windows 10 security? They should improve their alerting for logs options.